The videos below have been compiled over a number of years, and include masterpieces of inspiration from around the internet. Some offer stories of selflessness, some offer insight and wisdom into our lives. We love being inspired. To do better. To reach farther. Sometimes all you need is a little pep-talk, sometimes you need some perspective. 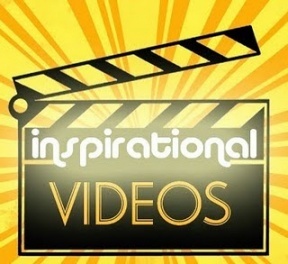 We've included below some of the most motivational YouTube videos we've seen. You're welcome to add your own and vote on the ones you like best. Steve Jobs encourages students at Stanford to pursue their dreams in a speech which has since become legendary. He mentions in his speech how he dropped out of college, and how it was the best decision of his life. He talks about a life of poverty and dreams, and how much he loved it. He followed what he loved, and trusted that the dots in life would eventually connect, and they did, leading him to found Apple, one of the most successful companies of all time. This is a yearly wrap-up for 2012, filled with images from Hurricane Sandy, shootings as Sandy Hook Elementary, Amanda Todd and teenager's reaction to bullying, and a whole lot more. The music and images blend into a heart-wrenching, inspiring symphony, bringing to light the achievements, adversity, and breakthroughs of the year 2012.